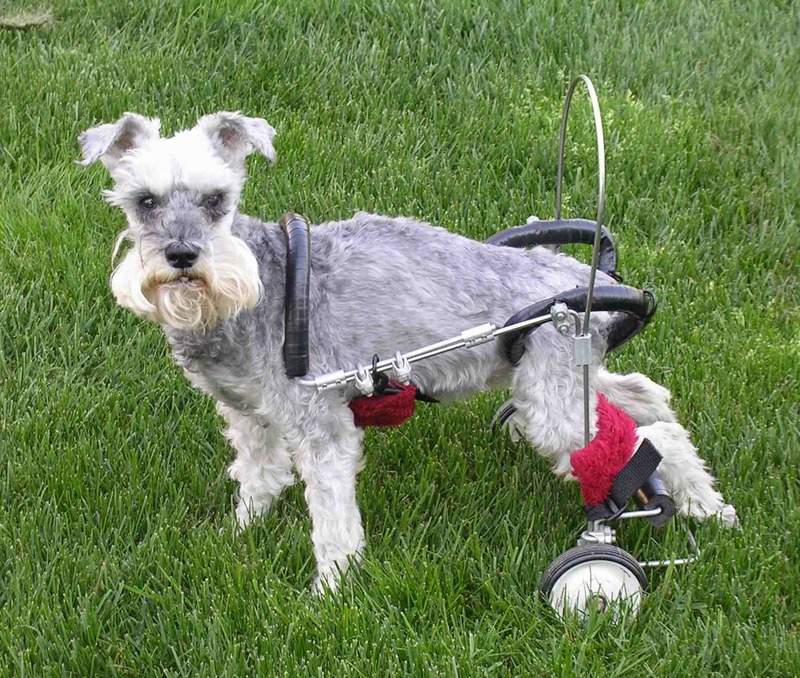 Hi, my name is Pepper and I am a 12-year-old miniature schnauzer. 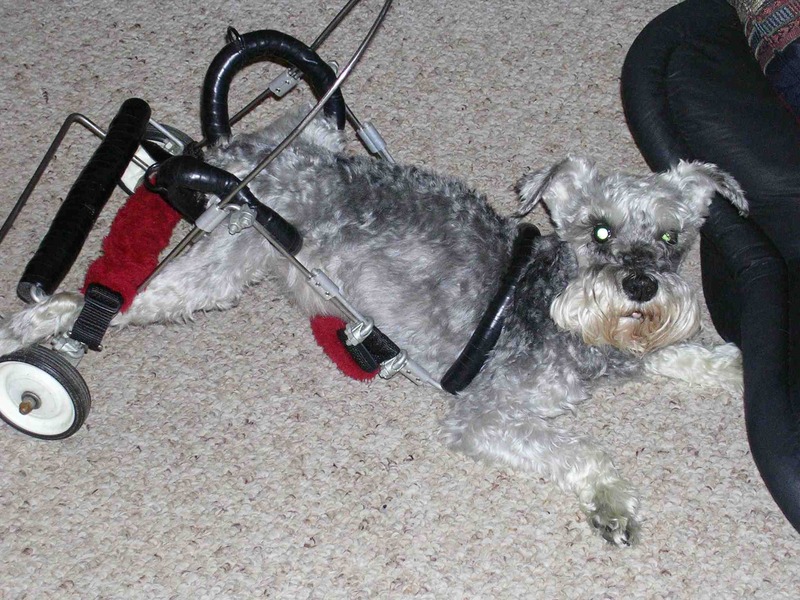 I was in need of a wheelchair to help me get around, and when the Matola's heard about me, they contacted my owner to donate Munchkin's cart. I am enjoying my new freedom and I am so grateful to the Matola's and to Munchkin for this wonderful gift. Thank you Munchkin, you are definitely an angel looking down on all of us left here on this Earth.